024 Don’t hoard…Don’t be greedy. 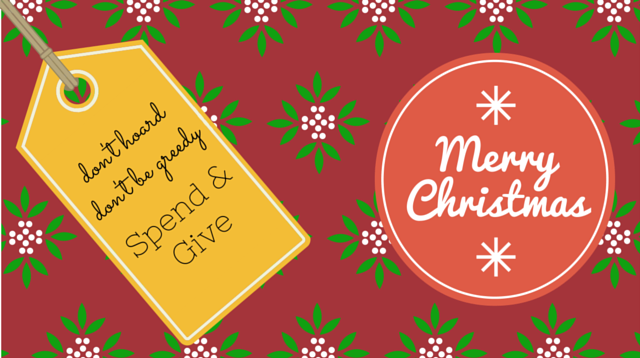 Spend and give! One of the worst things anyone could take from this podcast is that they must be a miser if they want to build wealth. I believe it is necessary to find a nice balance between spending and saving. We must avoid, at least over the long run, being at one of those two extremes. We build wealth not only to have fun but to also be in a position to give more than we ever thought imaginable. This installment focuses on finding a nice balance between being a tightwad and being a spendthrift so we can give more. Additionally, I outline just a couple of reasons why we should give more, and ways above and beyond just giving money that we might consider giving. You got that exactly right son. Love and Merry Christmas to you and your family.